It was 5am, May 8th, and I was on the phone to my Mum. I was angry, upset, devastated. The thought of five more years of a Conservative government scared me. And so I did something about it, and joined the Labour Party. I have always been a leftie. With a mother who swears mainly about David Cameron and a father who calls himself a Marxist, how couldn’t I be? As a Politics student, of course I am interested in the UK government. I study politics in order to hopefully one day be part of the change I want to see in the world. However, back in May I just didn’t know which Party I wanted to cast my vote for. I considered the Greens, SNP and Labour. 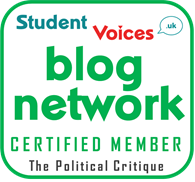 Green policies appealed to me; they were so radically left, but quite frankly far too idealistic and many not so well thought out. What is more, Natalie Bennett really did lack any of the qualities of a Prime Minister, not least to convey her passion and be inspiring, which through failed interviews and stuttered answers, did not come across. The SNP was a party I seriously considered for a while, but I think even then I was sceptical of whether the left wing rhetoric they espoused would translate into left wing policy. It was Labour that got my vote in the end, but it saddens me to say that this was not because I truly believed in their policies or found Ed Miliband inspiring. Rather, the goal with my vote was to keep Britain free from harsh Tory policy making, and the Labour Party were realistically the only viable option to potentially hold office. Still, I could not help feeling like I had cast a vote for the lesser of two evils. This article could very easily be about Jeremy Corbyn, but it is not. I’m a far left social justice warrior feminist, of course Corbyn definitely gives me hope for a future I want. In many ways, it was Corbyn who inspired me to become more active in the Labour Party, because he represented so much of what I truly believe in. However, I can’t often help but feel distant from him as a leader. He is someone who is set in their views and often unwilling to compromise or put much effort in to uniting the party in the way it so desperately needs to be. If I am really honest, his Shadow Cabinet appointments were alienating. Goals of socialism, such as equality, liberation, justice and fairness, are goals we simply cannot achieve without the input of oppressed groups in society. To see no women in positions of power is something you would expect from a right wing government, not the socialist paradise that Corbyn’s leadership is supposed to be. The Conservatives are putting more women in positions of real power than Labour, which is terribly disconcerting. What really inspired me to take action beyond my vote and my Labour Party member card, was the Scottish Labour Party. I came away from the Scottish Labour Conference at the weekend feeling something I had never felt before for a political party: an immense feeling of pride and solidarity. This was a party I believed in. This was a party I wanted to see in government. This was a party who could deliver real change. Together, Ian Murray MP and Kezia Dugdale MSP carry the Scottish Labour Party with a vision that simply did not exist at Westminster on May 7th with Miliband. It is their commitment to true Social Democratic values and confidence in the abilities of the Labour Party that makes the party one I feel proud of. Kez’s speech at Conference gave me chills. I had never felt so impassioned by a political speech before then, and I came away awestruck. This was a woman I could trust to do everything in her power to deliver Labour seats in Scottish Parliament next year. 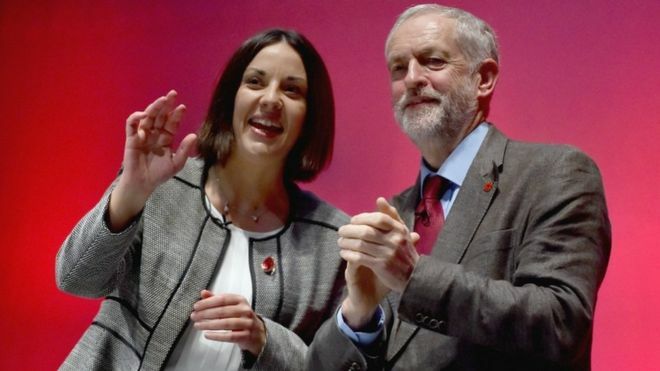 Unlike Jeremy, whose passion can sometimes err on the side of aggression, Kez was personable. She is someone I can identify with. As a woman in the world of politics, seeing a woman as the Leader of a Party is inspiring in itself. The line “We don’t just need women in positions of power, we need Feminists in positions of influence” was bold and resonated with me. Kez went where very few politicians dare to go, identifying with a word that is often seen as dirty and tarnished. She committed herself to gender equality and the liberation of women within the realm of politics; a difficult and commendable stance to take. As some one from a state school, I have seen first hand our failing education system. It upsets me that in UK general elections, education is never really on the agenda. It is even ignored in discourse by Corbyn. Like Kez said, “if there is a silver bullet to slay the monsters of poverty, inequality and ignorance, then it is education”, yet we never seem to talk about it in politics. This is a woman who is putting the most important tool available to humanity back on the agenda. And not because it is politically sound, because it clearly is not ‘on trend’ in current affairs, but because she truly cares. That is the attitude of a woman I want to see leading not just the Scottish Labour Party, but the country. In May, I voted to keep Tories out. The Scottish Labour conference inspired me to make the decision that, next year, I will be registering to vote up in Edinburgh for the Scottish Parliamentary Elections. When I voted for Miliband in the General Election in May, it was a vote in my mind for the lesser of two evils. When I use my two votes for Labour in Scotland next year, it will be a vote for values I am proud to believe in.